Located in the buzzy part of South Beach this is a classic Miami Hotel that won’t leave you disappointed. It is relaxing, easy going, and caters for someone who really wants to get away from it all. I didn’t have to be overly concerned about how I dressed, although there was a certain level of decorum required with clothing at all times (no swimsuits or towels through the lobby), which is always appreciated. Breakfast also caters to the most discerning of customers (something I love about the States) – nothing is too much trouble and asking for something on the side is the norm. The hotel is generally family-friendly, although usually this is can be a concern for solo travelers, most kids were well behaved (as were most parents). Having a deluxe spa at any resort is always a treat, and if your head is too sore from the night before, this may be just what the doctor ordered. Early morning yoga in the outdoor cabana is part of the weekly routine here, which is the perfect start to any Sunday, especially finishing with a dip in the pool or the ocean, which is just a few steps from the resort. Direct access to the beach, beach day beds, and ‘day bed service’ is always one of my favorite things about coming to Miami. 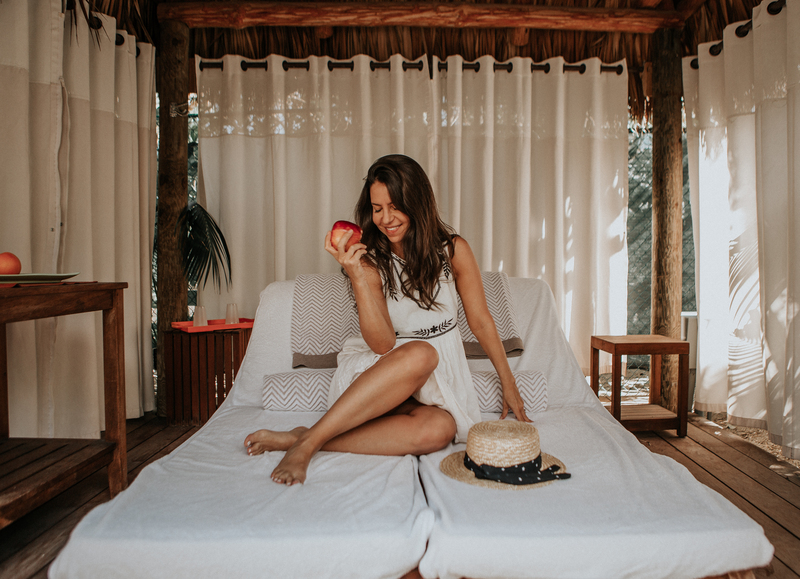 Day-bed service means you can laze around on your lounge chair all day and have drinks, food and sunscreen come to you – its the ultimate luxury. The best resorts in Miami are directly on the beach and you will have access to a day bed or lounge and feel free to stay there until the nightlife calls you back again for round 2. Cozy, well-designed boutique hotel with classic Dutch architecture infused with modern accessories (check out the Mooi lampshades). The little welcome basket of chocolate was a sweet touch – who can resist it?! I love these little details, it makes a hotel stand out from the rest. 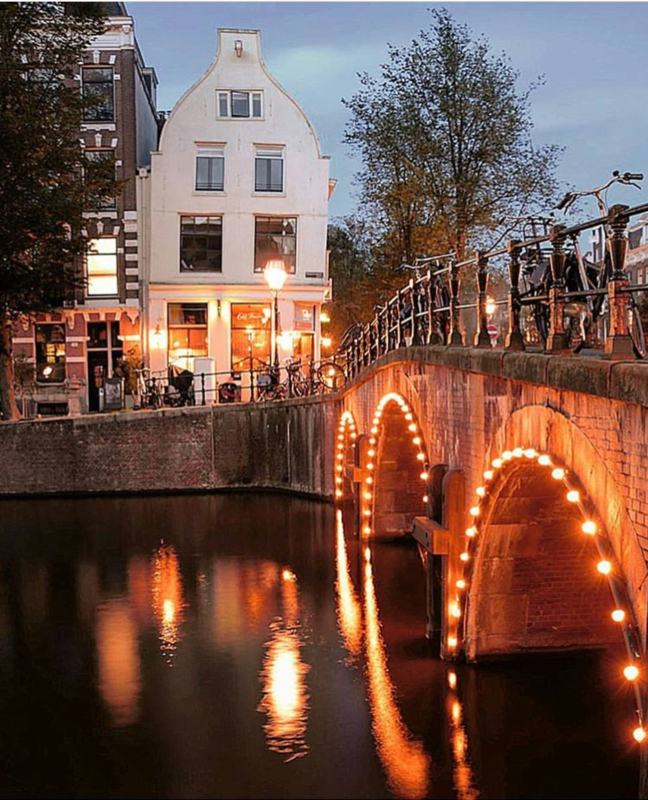 The location is right on the canals so it’s perfect for a meander around the neighborhood, close to the shopping area, restaurants, cafes and Saturday outdoor markets. My bathroom had a huge tub which I took full advantage of. I very rarely do this, but it was cold outside and a bubble bath felt like just the right thing to do after a long day of traveling. 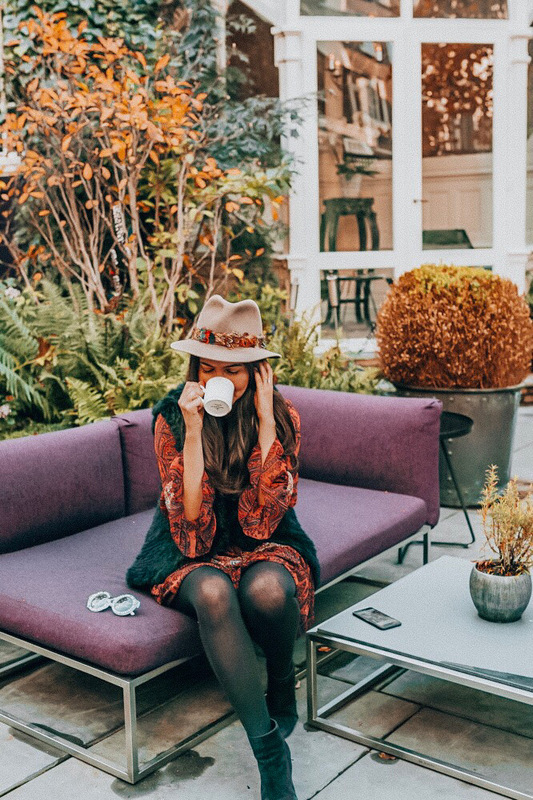 A gorgeous garden to relax in the sun and enjoy a cup of hot coco. Breakfast was simple – croissant, coffee, and fruit. With a fabulous world outside to explore, its great to have a little bite and then head straight out to explore. The view of the street and canals is magical! The rooms are spacious, designed with a retro twist and yet super trendy. The restaurant and bar is perfect for the solo traveler, as it is small, easy to start a conversation with the person next to you (they are probably also traveling alone). The food here is also exceptional – so go ahead and order whatever you want – no-one is judging you! 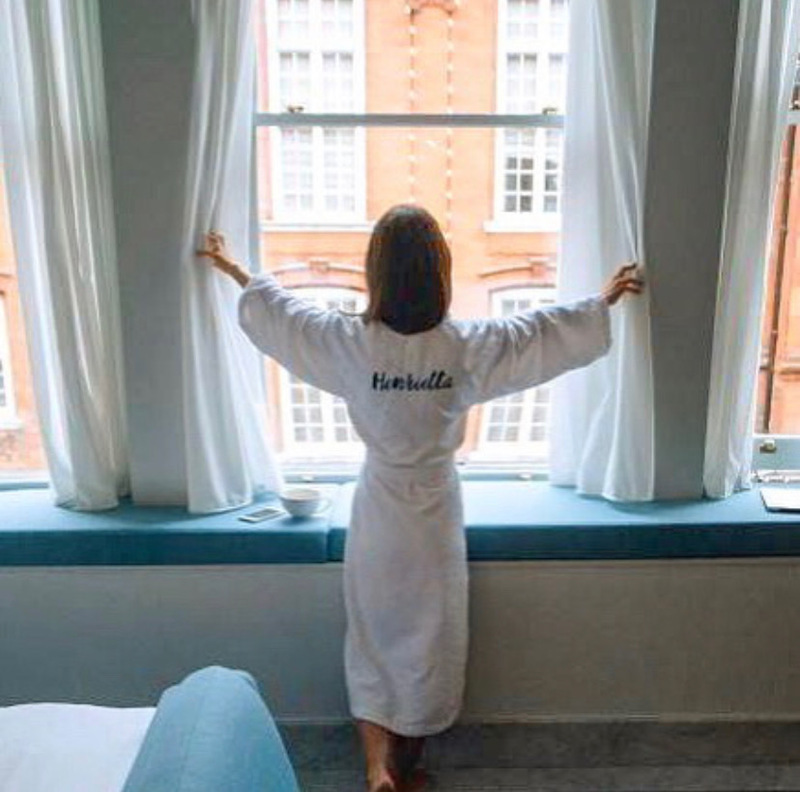 Located in a perfect spot for shopping and site-seeing around London. The room is so luxe, you’ll want to spend some time here. Get your face mask ready to have some self-care time. 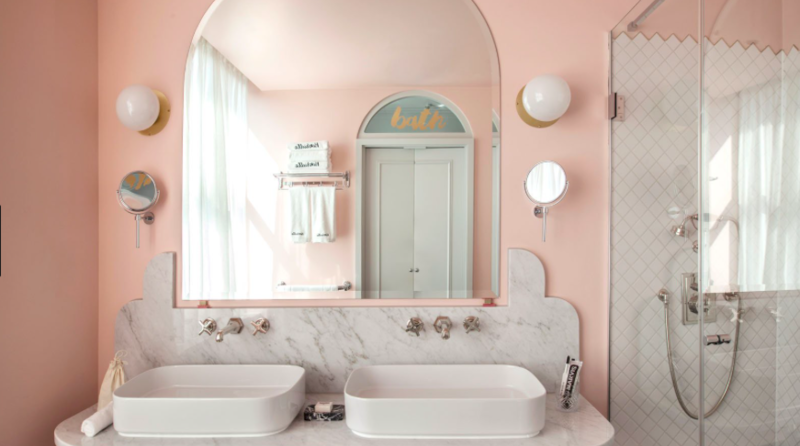 The bathroom is blush pink and totally adorable. Rooms are typically Parisian (aka small!) but super stylish. 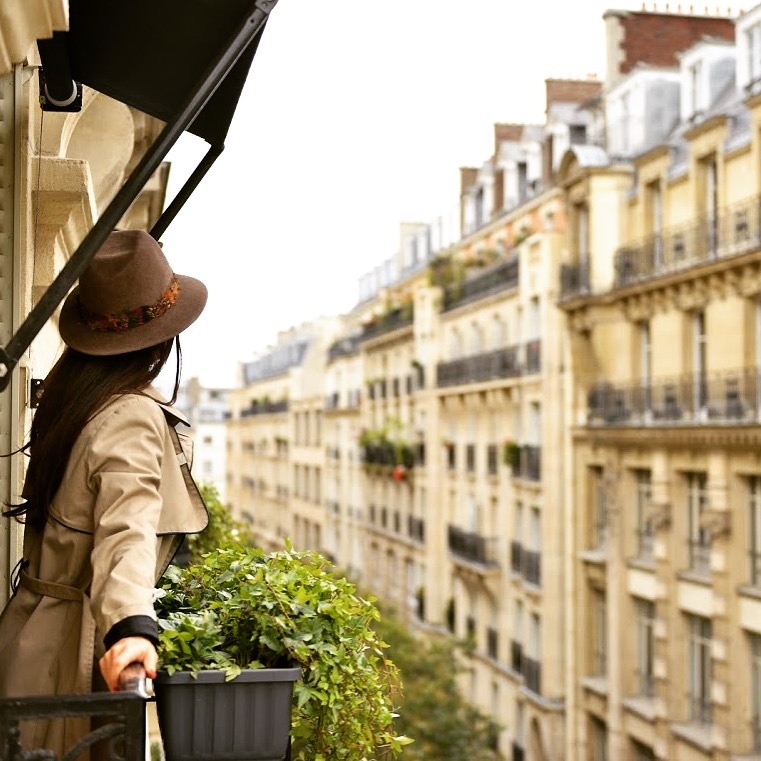 Request a room with a Juliet balcony overlooking the cutest street. 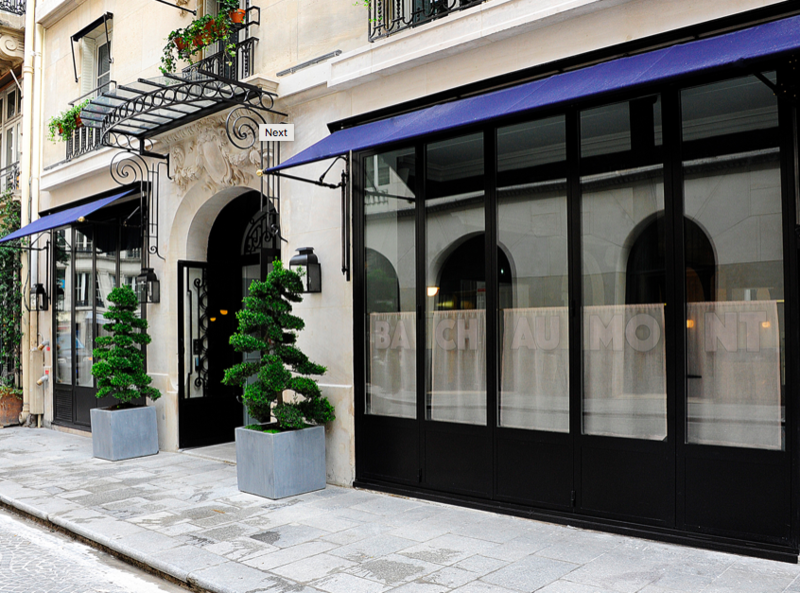 This hotel is located in one of the most charming areas of Paris. The bar is run by the Experimental Group – famous for brilliant cocktails and even better atmosphere. Breakfast is endless and allows you time to be lazy, relax and plan your day ahead in Paris. Founder of women-focused travel blog, princesswithabackpack.com, Lauren has freelanced for major publications such as Huffington Post, Sydney Morning Herald and now Thrive Global. Educated as an Architect, Lauren's articles focus on well-designed hotels, which in turn create a feeling of wellbeing and luxury for all women to enjoy.